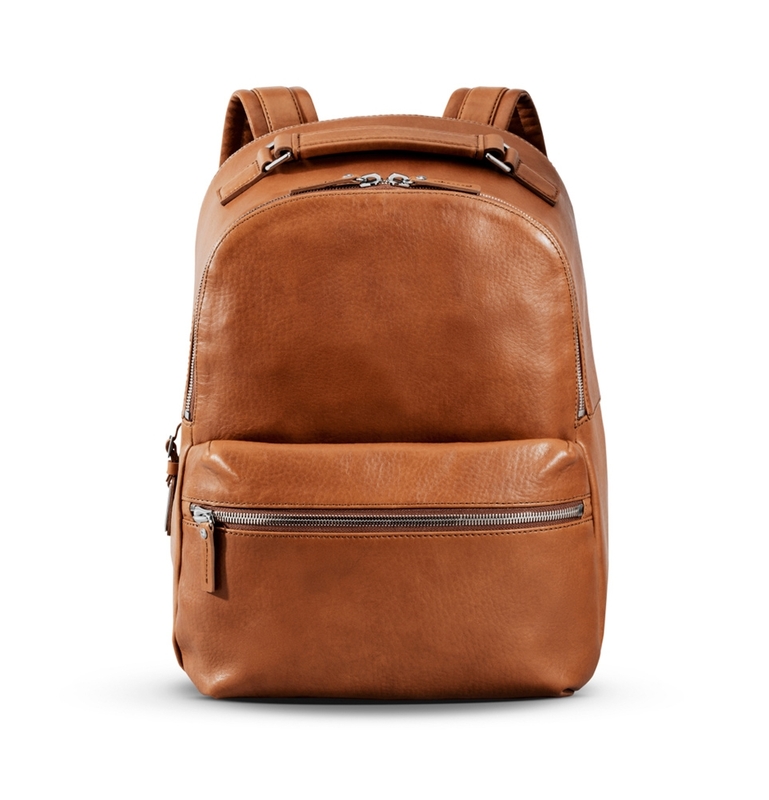 Shinola's flagship backpack. This luxury leather backbag is pure craftsmanship. 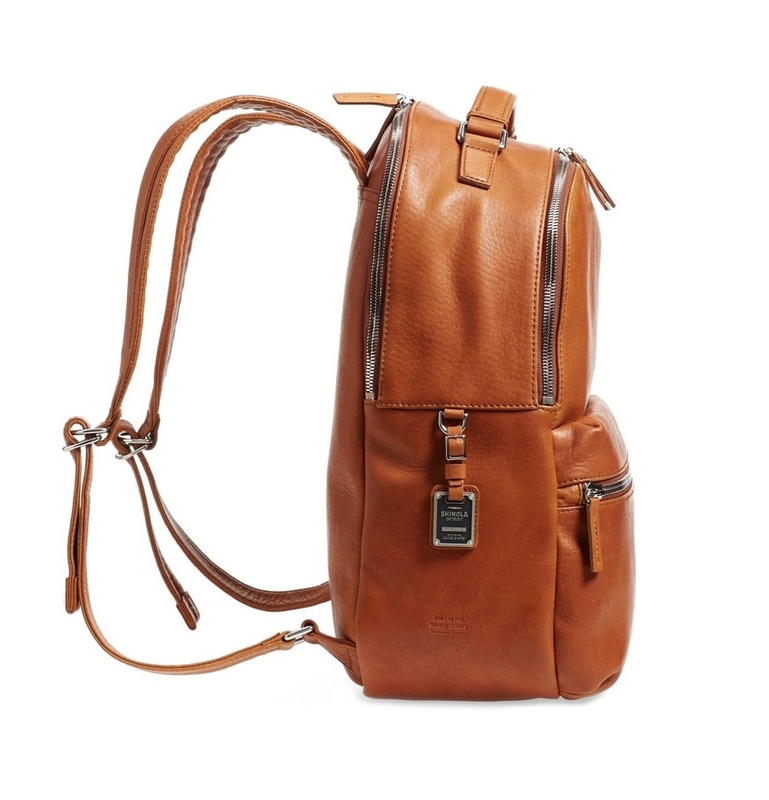 Made of beautiful Horween leather, individually numbered and stamped to ensure top quality. 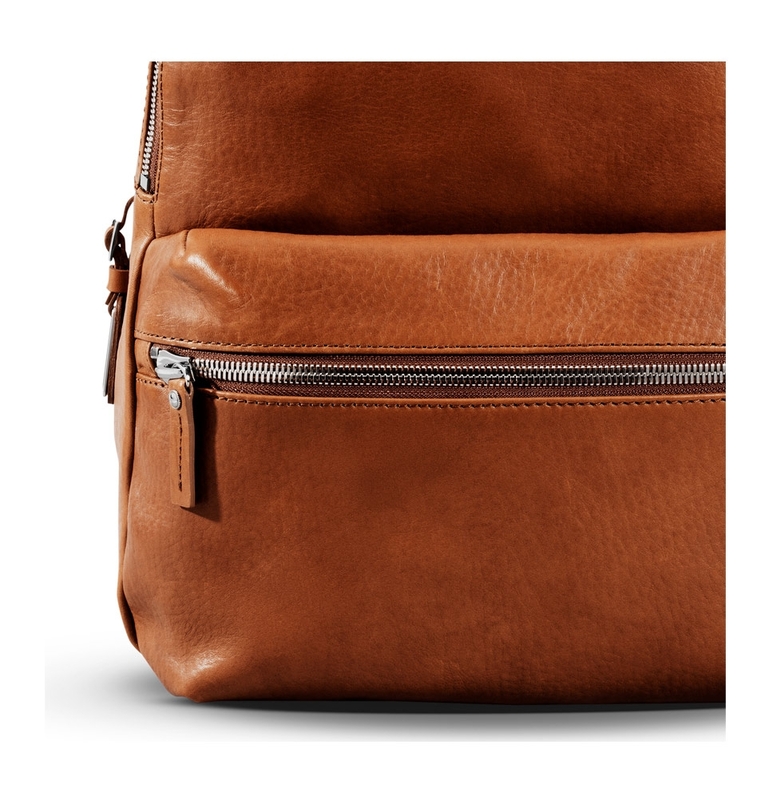 Lots of storage compartments and enough space for a 15 "laptop. 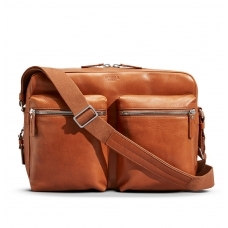 A casual and refined piece designed at Shinola's Detroit leather studio. 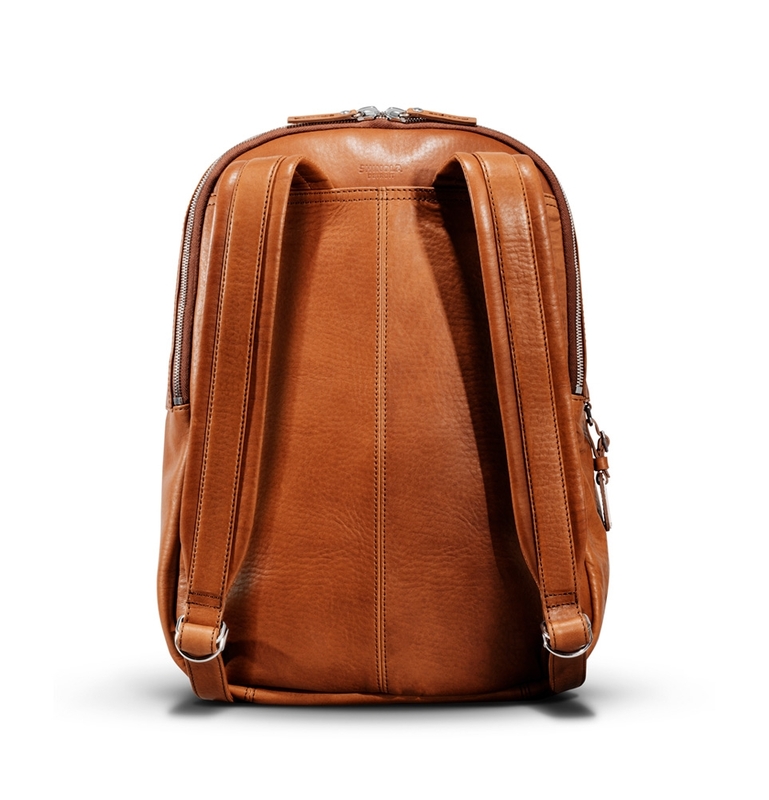 This Shinola The Runwell Backpack Bourbon include adjustable padded shoulder straps, deluxe leather top carry handle and stainless steel hardware. 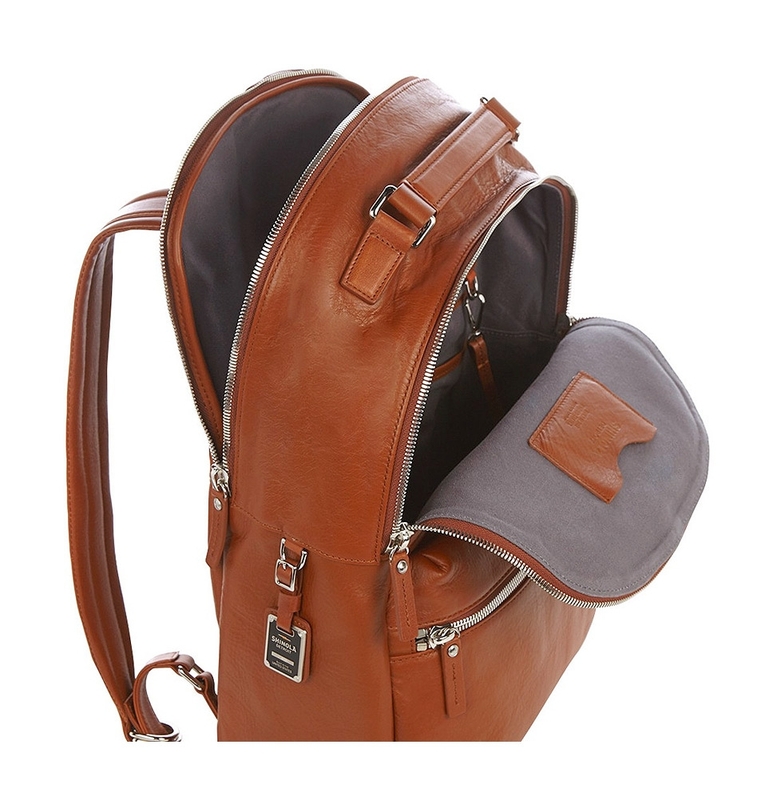 The cotton lined interior includes a padded compartment for your laptop and a pocket for your phone. 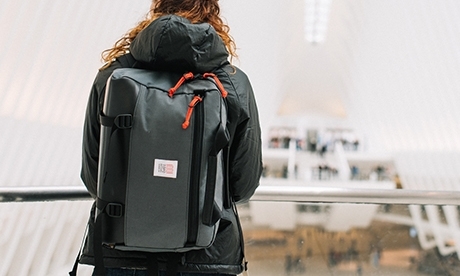 Comfortably fits a 15” MacBook. 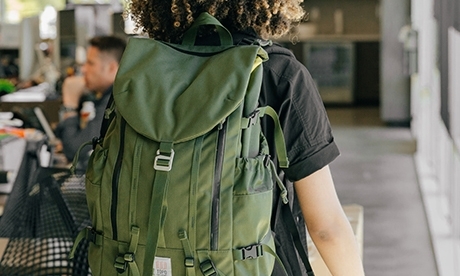 Pack your things and go...anywhere you’d like. 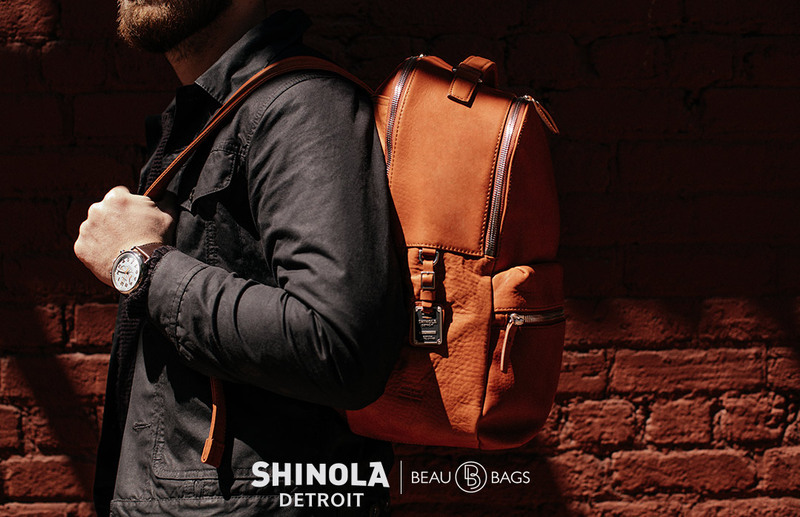 Every Shinola leather good gets its start in Shinola's Leather Design Studio located in the heart of Detroit, Michigan. 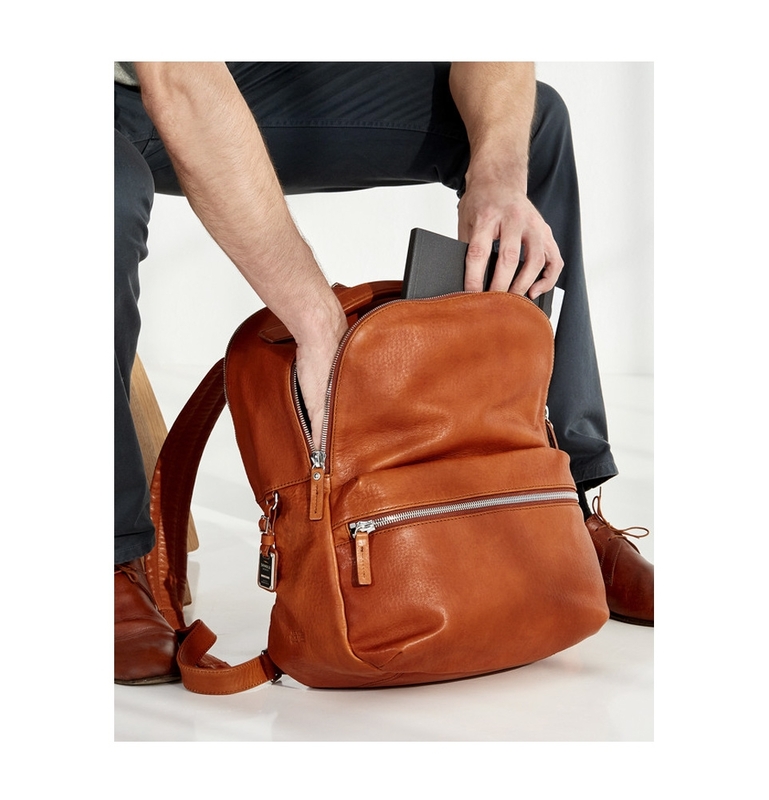 Using sketches and notes from their Design Directors, the studio pattern makers craft, cut and build each piece from sketch to sample using American leather tanned in some of the oldest and finest US tanneries. 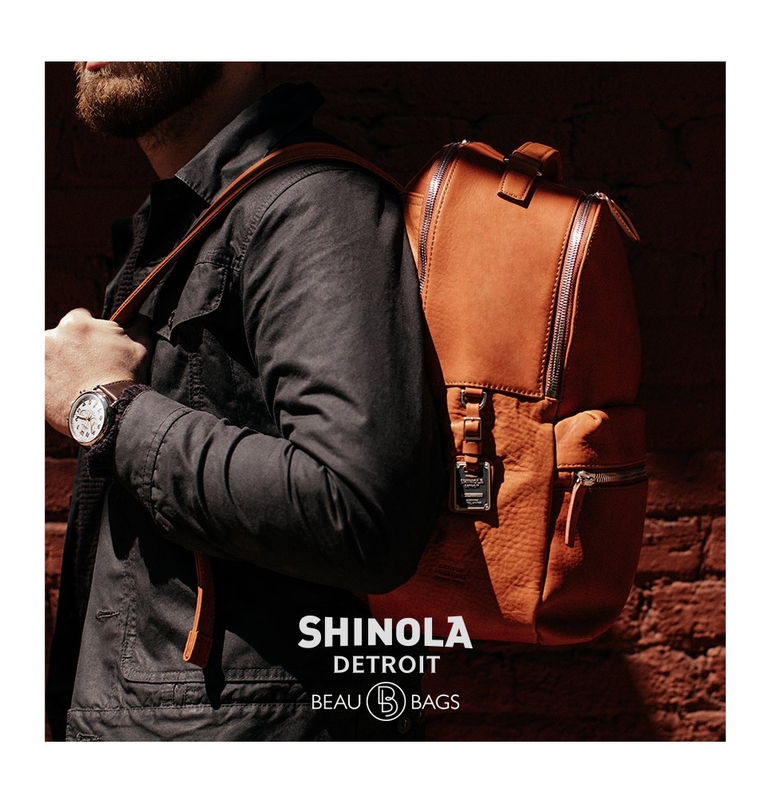 QUALITY OF CRAFT IS SHINOLA'S FOCUS. 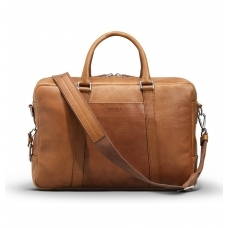 The 12,000-square-foot Shinola Leather Factory produces small leather goods and beautiful leather bags, using traditional labor-intensive methods as well as modern hi-tech custom-made Italian machinery. 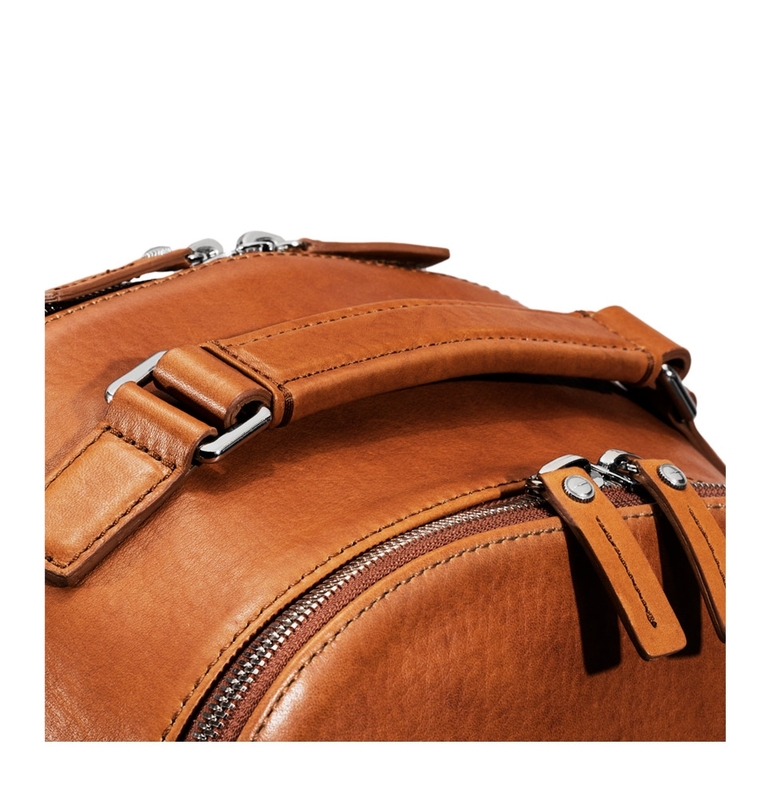 Shinola intentionally partner with a hand-selected group of American manufacturers to produce their leather collection to scale using the finest hardware sourced from around the globe along with American leather. 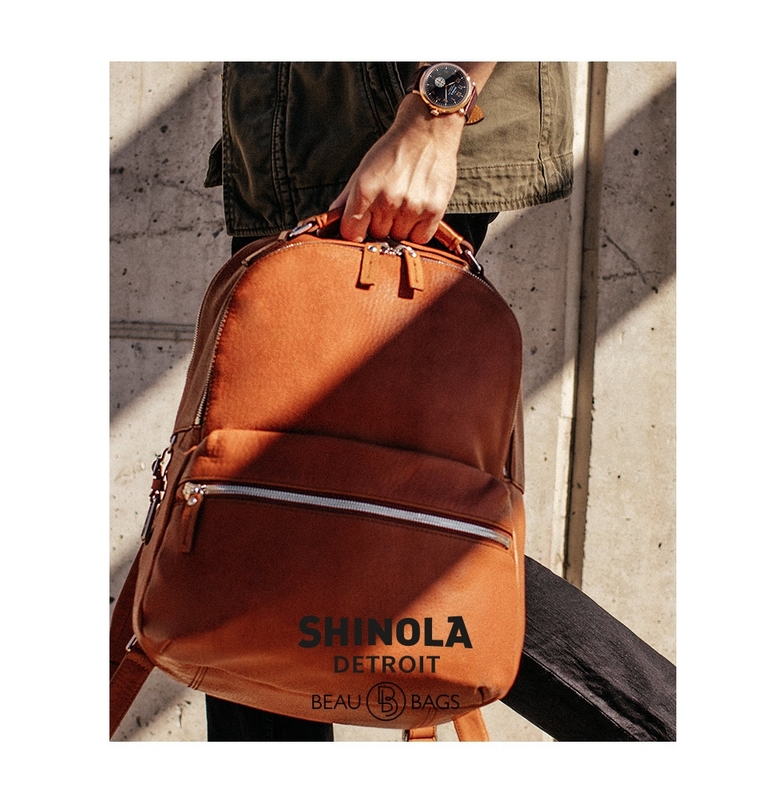 Like all of Shinola's leather goods, these products are made from leather tanned in some of America’s oldest and finest tanneries.